Dale Steyn is the name that comes first to our mind, when we talk about the best bowler in the contemporary cricket. People from across the world who follow cricket, know this tall bowler for his amazing bowling average and also for his neck breaking speed. Dale Steyn has re-defined speed and attacking in a better way and his hard work on the field inspires a lot of young cricketers like never before. Steyn was always adamant about becoming a bowler, his batting skills were very average but his amazing speed and irreparable fast run up made him what he is today. Port Elizabeth, South Africa, 17 December 2004: A historical day for the South African Cricket team. 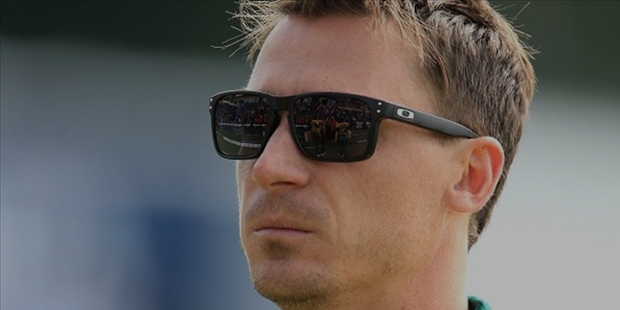 Dale Steyn helped beat the England cricket team with his amazing bowling skills. The stadium was full as everyone excitedly witnessed how he managed to take two essential wickets. Dale Steyn, who made his first appearance in the South African Cricket team managed to be the star of the team as they beat England. He made his ODI debut at Centurion ground, on 17th August, 2005. His whistling speed and his scary eyes troubled a lot of batsmen. It was then onwards that he took the flight of success and today he is known as the Steyn Gun because of his firing blowing and scary gazes. In contemporary world, Steyn is known for maintaining the best bowling strike rate ever. He is simply the top ranking bowler in the world followed by the likes of Mitchel Johnson and Jimmy Anderson. He happens to be one of the rarest players to dominate the ICC Rank one for more than six years in a row; it was from 2008 to 2014. It was the fourth edition of the Indian Premier League where he was sold for a whopping sum of $1.2 million. The management of Deccan Chargers bought him and the money proved to be well expended, ever since he won the man of the match award playing against the mighty team of Mumbai Indians. Dale Steyn is an aggressive bowler with a defensive style of batting. He is known for the throwing balls at the exclusive speed of 150km/hr. He also happens to be one of the most consistent players from the International team of South Africa in the past decade. He is one of the rarest bowlers to take a fifer in a test match for more than 25 times. He has also taken ten wicket hauls for 5 times in test matches and all of these have been against teams like Australia, India, Pakistan and New Zealand. This is one star performer from the South African side who never fails to perform. Currently he is like an asset to the South African cricket and as well as to the International Cricket.